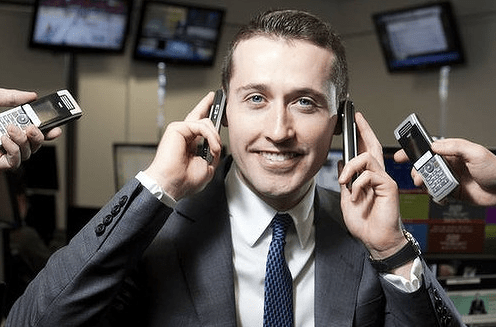 Bookmaker Tom Waterhouse has told a joint senate committee his company does not target children when advertising live gambling odds during sports broadcasts. “We believe we promote responsible gambling and we have no intention of targeting children through our advertising. At all times we comply with all relevant codes,” he said in a statement. He said there was now no interaction between himself and commentators. “This type of arrangement by our company, and others, in this and other industries is vital in keeping TV a viable and relevant medium to promote business,” he said. Waterhouse said his deal with Nine was commercial-in-confidence. Gambling is not like a virus. And unlike Tobacco, which harms every user, gambling only harms a small number of users. Sure problem gambling is a large problem and it does affect may people around problem gamblers. Firstly that is mostly connected to pokies and casinos, not sports betting on football. And regulating advertising around sports betting will achieve nothing but money for lawyers. The Productivity Commissioned produced a report into problem gambling and Parliament held an inquiry into online gambling. They had many sensible recommendations, precommittment, maximum loss setting, restricting bet size, reducing hours, a national register of people blocked from gambling. All things that would make a big difference, but would also cost governments money through loss of taxation and politicians through lack of donations from industry lobby groups. So those reports sit gathering dust while they whip up hysteria about sports betting odds being known. Gambling is a large recreation sector that provides lots of good jobs and funds the racing industries entirely and the sports people like to watch quite a lot. And if you ban it you will simply return to the bad old days of SP bookies and kneecappings and with the internet it will even easier to organise and harder to stop. Aha. So we’re down to this. When people like him believe their own spin and make some lousy attempt to make it right or seem as innocent as what they wanted us all to believe, before being caught out. As JB rightfully pointed out – the footage of the kids contradicts Mr Waterhouse’ claims. Busted dude. Tom works within the confines of the law but I really do wonder how anyone who makes their money from people’s addictions sleep at night? Surely there is a more productive and ethical way to make a quid. Gambling is like a virus, each gambler negatively affects up to 10 other people – people who did not make the choice to gamble. I know 1 girl whose father lost 2 of their family homes as they were growing up, another’s husband also lost their home. I was in a mental health care clinic (for bipolar) with a well know football legend as he was getting help with his gambling addiction. He was completely broke. I could go on, have seen so many people’s lives wrecked by this awful problem. Gambling advertising needs to have the same restrictions that tobacco and alcohol advertising have. We as a society really need to push the government to make these changes. Even if he is trully sencere in what he has said, ie not targetting children he still hasto concede that they are still being exposed to his advertisements and his involvement in the broadcasting of games. I think if parents dont want their kids to endup addicted to gambling then they need to have a fair and honest talk with their children about the dangers of gambling. I’m sure Channel 9 will totally agree with that. Not. Yes, so said the tobacco mob re cricket….and? OMG I wish there was a comments policy here! If there wasn’t, I’d let rip! His ads aren’t targeting children? Then why is there footage of children asking him for an autograph at an NRL game, and worse he was actually signing the autographs? Children think he’s a role model now. Seeing that footage was pretty disgusting and quite sad. Enough of the betting ads before and during sports broadcasts. Sick of seeing this guy and Jaimee Rogers. I’m sure the kids appreciate that this man is not interacting with the commentators and so his comments are not directed to them and they disregard the comments entirely. David’s Comments Policy prevents me writing what I really want to write. He is my ‘gambling problem’ in that he has made watching the NRL on Ch9 unbearable! His arguments are identical to the baseless noises the tobbaco lobby made about cricket sponsorship before they were stubbed out. Cricket survived, so will the NRL. I earnestly wish him and all the other enablers nothing but the worst of luck. Gambling promotion is gambling promotion no matter how disguised. His wages and profits come from people loosing their money, not from people winning. Basic maths. And the NRL and clubs are at fault too.